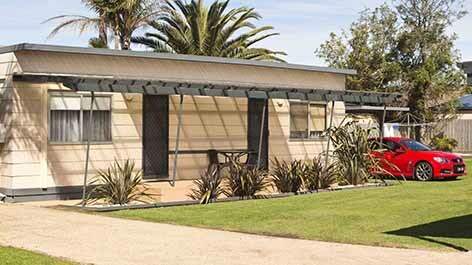 We have ten self contained units in the shopping area and we are a very short stroll to all Lakes Entrance has to offer. No need to get the car out. 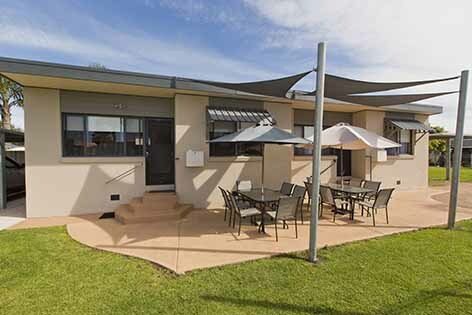 Spacious Fully self contained, 1 queen bed, all linen and towels are provided, reverse cycle air conditioning and heating. Flat screen TVs and DVD. microwave, Washing machine, separate bathroom and toilet. Ground floor units with ramps. 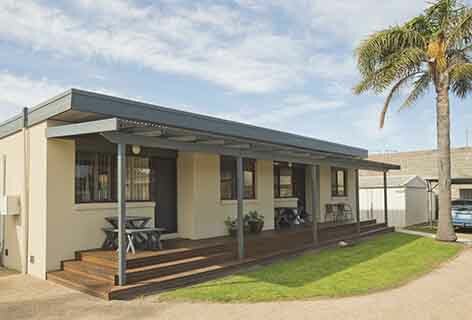 Spacious fully self contained 2 Bedroom family unit. Main B/room has Queen bed and 2nd bedroom has a queen and 2 singles. All linen and towels provided. 2 flat screen TVs (1 in 2nd B/room.) Large kitchen dinning, with separate bathroom and toilet. Washing machine and reverse cycle air conditioning.